Emanation of one of the largest aerial image banks in Europe, the network created sixteen months ago covers the entire french territory and offers a direct and free linking with the best French aerial images talents. Appeared in the audiovisual field just ten years ago, remotely controlled drones (UAV) have revolutionized the way of seeing the world and sublimating it. 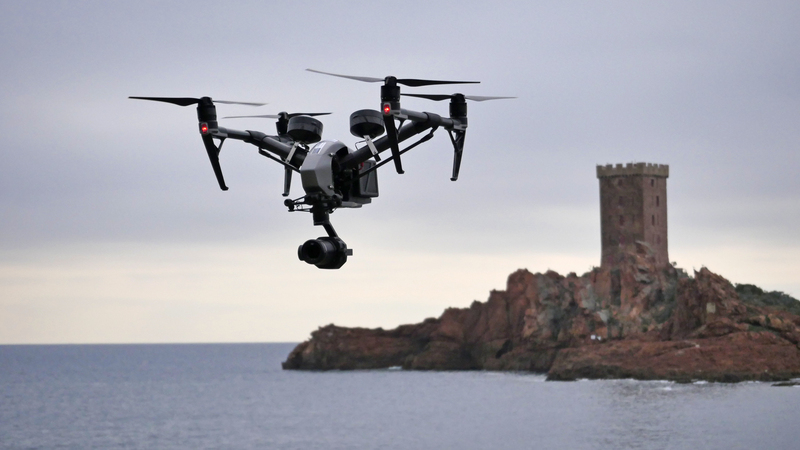 France has nearly 10,000 drone pilots; a number that continues to grow while the drone sector is gradually being structured. But for a professional producer looking for a provider, it is not always easy to sort through the abundant offer that flourishes on the net because owning a drone is not enough to make a job. Producing quality images requires many tricks up ones sleeve: artistic feeling, creativity, experience of professional productions, expertise in telepiloting, knowledge of aerial regulations. From CNN to Disney and FujiFilm, the images made by HOsiHO.net drone pilots are sought after all over the world for their technical and creative qualities. That's why Sami Sarkis, founder of the HOsiHO aerial image bank (Hosiho.com), came up with the idea of creating the HOsiHO Drone Network (Hosiho.net) in addition to its existing 20,000 media offering available online. Born in 2017, the new platform brings together a team of creative and experienced professionals, who is able to do high-end commissionned aerial shootings for production companies, communication agencies, medias or corporates. Whether it's filming in great detail the impact of a wave on rocks to illustrate the phenomenon of high tides or to shoot an entire corporate film, HosiHO.net members are in abilities to respond to the most varied requests. '"HOsiHO Drone Network members are selected according to demanding criterias and sign a charter of good practices. We link them directely with customers, often internationals, in search of high-end images, shot legally by professionnals. This requires both a real expertise in the regulation of aeronautical zones, be a skilled and DGAC* certified drone pilot, as well as have a true creative talent", says Sami Sarkis, image professional for 30 years. Spread throughout all France's regions, each HOsiHO's UAV pilot have the exclusivity of his geographical area and perfectly knows his territory and its regulations and airspace specificities. Customers seek this proximity which also guarantees fast turnaround times. HOsiHO Drone Network gets clients requests from all over the world : from New Zealand to England, through Belgium, Denmark, Egypt or the United States. "In need of drone shootings in France, our foreign customers are often confused with the plethoric choice of telepilots available on the Internet. By using HOsiHO.net platform, the client is sure to work with a recognized professional", says Sami Sarkis who adds : "a single click on France's map is enough to be connected with the drone operator close to the assignement location". Beyond their dexterity in piloting and their proven creativity, drone pilots all have a special specialty, such as deep knowledge of specific sectors like Viticulture, Industry, Tourism, Transport, Cinema, and / or innovative shooting techniques such as 360 ° VR video, ultra-high definition panoramic aerial photography (giga-pixels), timelapse and hyperlapse, photogrammetry or thermography: therefore, HOsiHO.net offers a complete range of drones services, from shooting to post-production. With one common denominator: creativity and quality.